Sorry, Kanger IPOW 2 - 1000 mAh Variable Wattage battery has been discontinued. This Variable Wattage battery IPOW 2 by Kangertech is a fantastic product, providing you with a variable wattage mode. This Variable Wattage battery IPOW 2 by Kangertech is a fantastic product, providing you a variable wattage mode controlled by a rotating knob that goes from 3W-15W at a cheaper price than most device with this function. This is a long-lasting, high quality battery system perfect for vapers looking to upgrade thier batter for better vapor production. 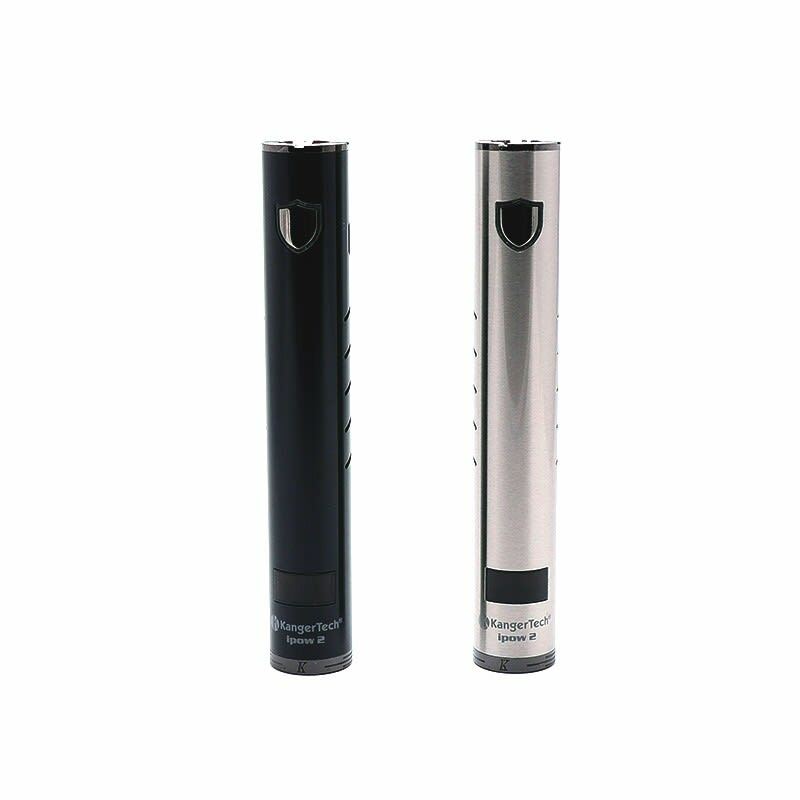 This system allows you to produce more vapor as you increase wattage, the 1000mah capacity is equivalent to approx. 1.5 packs of cigarettes for most users, all by one of the most reliable company of e-cigarettes - Kangertech. I paired this battery with an Aerotank MOW and it fits perfectly flush... You can also get the same Kanger brown color.